Two of the most beautiful, historical and cultural cities in Europe, Kraków and Edinburgh, celebrate their long partnership agreement with the exhibition City Lights, pictures painted with lights. Photographed by Alex Ingle, Edinburgh with Music by Paweł Odorowicz, Kraków. On October 21st, the opening of the exhibition took place in Metaforma Café (ul. Powiśle 11) with two very important guests: The Right Honourable Donald Wilson, Lord Provost and Lord Lieutenant of Edinburgh, and Tadeusz Matusz, the Deputy Mayor of Kraków. During the event, Tadeusz Matusz welcomed the Scots and talked about the collaboration agreement signed between Kraków and Edinburgh in April 1995: “It is important that we can meet just because we like each other and we have this possibility in the frame of the European Union”. The Lord Provost of Edinburgh, Donald Wilson, talked with Krakow Post TV during the opening event about the partnership and he congratulated Kraków for all the improvements: “I was in this fantastic city 10 years ago and I can see all the changes that have taken place for the better since then”. “Today we celebrate our past, but we are also innovative and creative and we are looking forward to future projects”, said Donald Wilson after thanked the warm treatment and hospitality their people received. 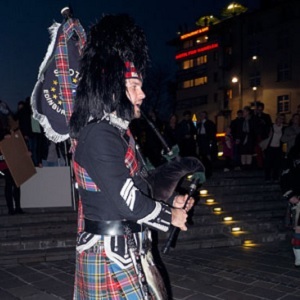 Besides the local politicians and authorities, traditional Scottish music was performed by Scotpipe pipe Band from Edinburgh who marched from Grodzka street playing well known Scottish tunes until arriving to Wawel Castle. 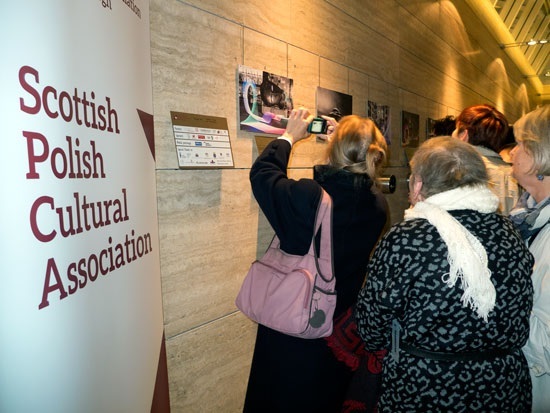 The Scottish Polish Cultural Association is the organiser of the multimedia exhibition Światła Miast -City Lights, Kraków and Edinburgh-pictures painted with lights, which will be be open to view at Metamorfa Cafe, Powiśle 11 until November 10th. The exhibition has already been shown in Edinburgh. Krakow Post TV had also the chance to talk with Izabella Brodzinska, the chairperson of Scottish Polish Cultural Association Edinburgh, about their more than four decades of activity promoting Scotland in Poland and vice versa. To find out more about the photographic exposure and the protagonists of the event, check the Krakow Post TV video. 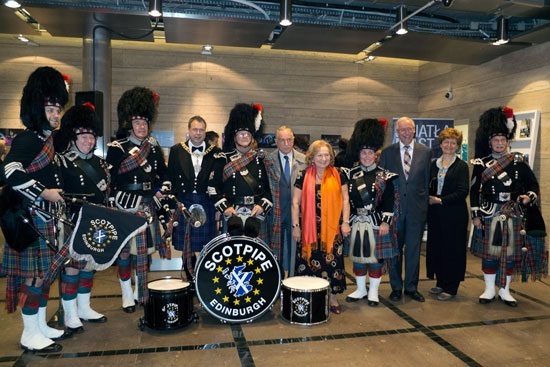 This is great, because a lot of people from Krakow possess Scottish ancestry. I saw a poll a couple of years ago that suggested at least 65% of modern day Krakovians are descended from the Scots.